India’s state-owned carrier will initially send Boeing 747s on the route to the Russian capital before using a Dreamliner. The official told IANS that the service will be started with the Boeing 747s due to climatic conditions and will be shifted to Boeing 787s as more of these aircraft are expected to join the fleet in the coming months. 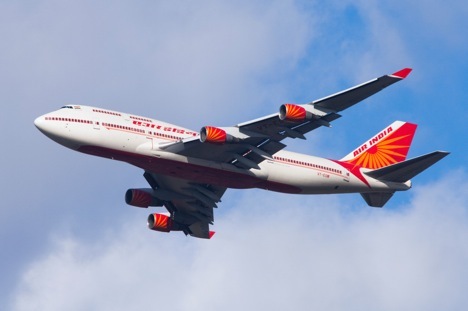 At the moment, Air India operates a code-shared flight to Moscow with Aeroflot, but several passengers with tickets issued by the former have been denied boarding in the Russian capital on the return leg of their journeys. “This mostly happens because there is a quota of seats that Air India is allotted on each flight,” a travel industry source told RIR. “In these cases, the number of tickets issued by Air India either exceeds the quota or the airline just doesn’t inform Aeroflot,” the source who has dealt with several such incidents added. The only regular direct air connection between Russia and India is Aeroflot’s daily service connecting the national capitals. The Russian airliner stopped flying to Mumbai in 2008 and has not since restarted its service to India’s financial capital. Several Russian charter flights operate to Goa and Kerala in the tourist season. Under the existing India-Russia air services agreement signed in 2006, designated carriers from both countries are allowed to operate 46 flights a week in both directions. Low-cost Indian carriers such as Spice Jet and Indigo want to take advantage of the existing agreement and operate to Moscow and major cities in the former Soviet Union. Sources tell RIR that such proposals are being shot down by the Indian Government, which is keen to prop up its loss-making national carrier.